On World Diabetes Day 2017, Australian Minister for Health the Hon Greg Hunt MP announced a five year $9.5 million collaborative program grant to be funded by the National Health and Medical Research Council (NHMRC). This money will support clinical and laboratory research at the Walter and Eliza Hall Institute (WEHI), St Vincent’s Institute of Medical Research and The Westmead Institute for Medical Research to develop screening tests for type 1 diabetes in young children and potential early interventions. 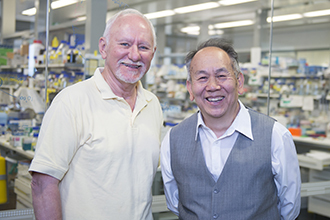 Professor Andrew Lew, also a researcher based at WEHI, said that a greater understanding of who is at risk of developing type 1 diabetes will provide new opportunities to prevent this disease, or begin treatments early. “Our NHMRC program grant will investigate new therapies for people in early stages of type-1 diabetes, with a goal of preventing this disease before irreversible damage to the pancreas occurs,” Professor Lew said.